January started immediately with a BANG and Xander Pero winning the Dallas Regional on the first day of the year with Mega Gardevoir. Two weeks later in Athens GA Chris Siakala pilots Darkrai EX to a 1st place finish. 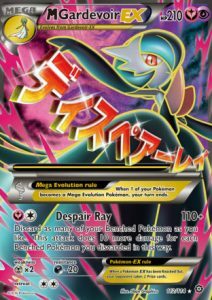 Decks in the top 8: Vespiquen Zebstrika, Darkrai EX, and Mega Rayquaza. The most common Pokemon I went up against this month (in 316 matches): Garbodor 41, Volcanion EX 27, Yveltal EX 26, Volcanion 25, M Gardevoir EX 25, Yveltal 24, M Mewtwo EX 24, Octillery 24, Greninja Break 19 (just a quick note that I didn’t count Shaymin and Hoopa). 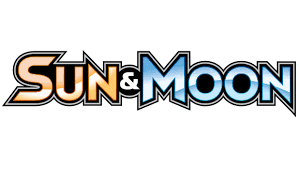 February 3: Sun and Moon base set is released. It introduces new GX Pokemon, which all have a new mechanic of an extremely powerful attack that can be used only once throughout the course of a game. New GX markers are used during a game to indicate whether or not a GX attack has been used yet. February 18 Kenny Briton wins the Anaheim CA regionals with Darkrai EX. 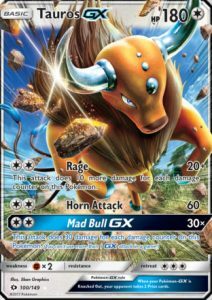 Only 1 GX Pokemon is in the top 8 (Tauros at 5th) and only 7 of the top 32 decks carry even a single SUM Pokemon. Two weeks later in Sheffield England, despite hundreds of youtube videos extolling the greatness and dominance of GX Pokemon, the meta still seems to collectively fail to realize that GX Pokemon are standard legal. Goncalo Ferrera wins the tournament with Deciplume, but no other deck in the top eight carries even a single GX Pokemon. I have to go to 23rd place before I can find a deck with a SUM Pokemon (Dragonair)… There is another Deciplume deck at 30th. 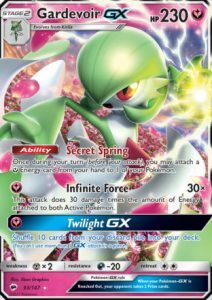 A week later at the International championships at Melbourne, the meta realizes that GX cards can actually be played as 5 Decidueye decks make the top eight. Pedro Torres beats out Pablo “Tablemon” Meza for first place with Volcanion. 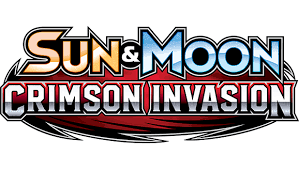 There was also another Darkrai EX and Volcanion deck in the top eight. The most common Pokemon I went up against this month (in 347 matches): Tauros GX 56, Darkrai EX 36, Lurantis GX 33, Oranguru 33, Volcanion 25, Volcanion EX 23, Garbodor 23, Decidueye GX 22, M Mewtwo EX 21, Vileplume 20, Lapras GX 20, Yveltal 19, Umbreon GX 19, Giratina EX 18, Manaphy EX 18, Espeon GX 18. The meta still seems reluctant to completely embrace the Sun and Moon era. Michael Newey wins the Salt Lake City Regional on April 8th with Volcanion. Darkrai EX, Deciplume, and M Mewtwo Garbodor round out the top 8. Two weeks later in Sao Paulo Brazil, Juan Salas wins with Deciplume. 4 of the top 8 are Deciplume. M Rayquaza, Darkrai EX, and Volcanion were the others. The most common Pokemon I went up against this month (in 431 matches): Tauros GX 60, Oranguru 58, Espeon GX 38, M Mewtwo EX 33, Lurantis GX 32, Lapras GX 32, Decidueye GX 30, Solgaleo GX 30, Darkrai EX 27, Passimian 23, Umbreon GX 21, Octillery 20, Volcanion EX 17, Vileplume 17, Lugia EX 17, Volcanion 16, Mew 16, Manaphy EX 16. 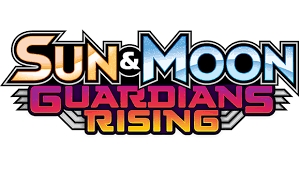 Sun and Moon 2 Guardians Rising is released on May 5. James Arnold wins the Roanoka VA Regional with Quad Lapras on that first weekend in May. Other decks in the top 8: Wobbuffet / Jolteon / Glaceon (remember that deck? ), Darkrai EX, Deciplume, M Mewtwo EX, M Mewtwo EX Garbodor, Volcanion. On the day that GRI becomes Standard legal, there’s a regional in Seattle WA. In one of the most blatant examples of groupthink in modern history, 75% of the top 32 decks are Drampa GX Garbodor (Grampa). Sam Chen wins with (what else?) Grampa. Other top 8 decks Vespiquen Zoroark (what there’s a Zoroark that’s NOT the GX? ), Lapras, Espeon Garb. The most common Pokemon I went up against this month (in 389 matches): Tauros GX 62, Oranguru 40, Garbodor GRI 40, Tapu Lele GX 38, Manaphy EX 27, Lapras GX 26, Espeon GX 24, Solgaleo GX 21, Lurantis GX 20, Volcanion EX 20, Drampa GX 16, Decidueye GX 15, Garbodor BKT 15, Octillery 15. 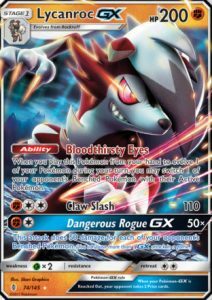 A week later, Michael Pramawat wins the Madison WI regional with Vespiquen Zoroark, barely beating out Chris Schemanski’s Metagross GX, the surprise of the tournament. There is significantly more diversity this weekend with only one repeat deck in the top 8. Others were Volcanion, Drampa Zoroark, Espeon Garbodor, Deciplume Ninetales, and Buluvolt. On the same day, the third of June, Birmingham England has a regionals as well. Alex Dao wins it with Gyarados. Other top 8 decks: Drampa Zoroark, Buluvolt, Ninetales, Grampa, and Darkrai EX (wait EX Pokemon are still legal?). The month concludes with the largest tournament ever. 1354 masters competed in Indianapolis IN. To give you some perspective, the largest tournament previously in 2017 was Collinsville IL (expanded) with 705 masters. Tord Reklev’s Grampa won the event. Other top 8 decks: Deciplume, Decitales, Ninetales, Volcanion, Zoroark Drampa, Greninja. The most common Pokemon I went up against this month (in 355 matches): Tapu Lele GX 79, Garbodor GRI 41, Oranguru 40, Drampa GX 25, Tauros GX 24, Sylveon GX 20, Metagross GX 20, Tapu Koko GX 19, Espeon GX 19, Manaphy EX 18, Greninja Break 16, Octillery 15, Lapras GX 15. There are no major tournaments. 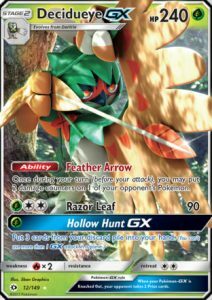 We all wildly speculate about the imminent set to be released in August, Burning Shadows, and two of its feature Pokemon Golisopod and Gardevoir. 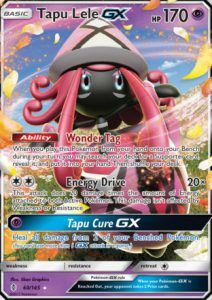 The most common Pokemon I went up against this month (in 328 matches): Tapu Lele GX 90, Tauros GX 33, Oranguru 32, Garbodor GRI 30, Drampa GX 29, Decidueye GX 21, Tapu Koko GX 21, Octillery 21, Espeon GX 19, Sylveon GX 16, Vikavolt 15, Lapras GX 15, Metagross GX 15. Diego Cassiraga wins the world championship with Gardevoir GX. 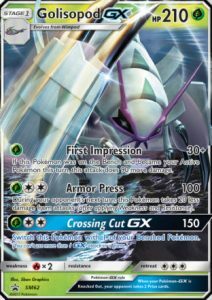 Golisopod GX comes in second. Pokemon’s world championship match for the 2016 -2017 season is between two Pokemon that were not in existence for any tournament during that season. Other decks in the top 8: Espeon Garbodor, Golisopod Garbodor, Garbodor Necrozma, Drampa Garbodor. There is also an open tournament that same weekend in the same location (Anaheim CA). Benjamin Pham wins that with Decitales. Other decks in the top 8: Gardevoir, Greninja, Espeon Garb and Drampa Garb. The month concludes with the customary rotation. Primal Clash, Roaring Skies, Ancient Origins, and Double Crisis leave the standard format. I don’t track stats in August. This month is always a crazy mix of cards that are going to be rotated out and new cards to the format. Plus, it’s nice to take a little bit of a break from number crunching. The first standard tournament of the new season takes place in Bremen Germany. Marc Lutz wins with Golisopod Garbodor. Other decks in the top 8: Grampa, Gardevoir, Volcanion Ho-Oh GX, Buluvolt, Xerneas Break. The month concludes with the second largest tournament of the 2017 calendar year. 751 players attended a chilly regional tournament at Hartford CT.
Ironically, a Volcanion deck run by Igor Costa won the event. Other decks in the top 8: Greninja, Grampa, Gardevoir Sylveon, Gollisopod Garbodor, Buluvolt, Volcanion Ho-Oh GX. The most common Pokemon I went up against this month (in 355 matches): Tapu Lele GX 119, Octillery 63, Gardevoir GX 45, Oranguru 42, Drampa GX 30, Garbodor GRI 30, Alolan Ninetales GX 27, Tapu Koko 25, Alolan Vulpix 25, Alolan Ninetales 22, Volcanion EX 21, Espeon GX 20, Vikavolt 20, Volcanion 19, Golisopod GX 18, Metagross GX 18, Tapu Bulu GX 17, Tapu Koko GX 16. 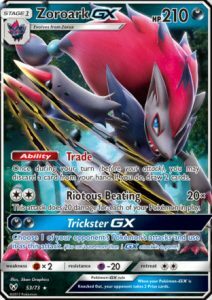 Shining Legends is released on October 6th. This is not a normal expansion but a special release. It consists of only 72 cards, about half of each of the first 3 SUM expansions. The most common Pokemon I went up against this month (in 368 matches): Tapu Lele GX 115, Oranguru 52, Octillery 40, Gardevoir GX 35, Garbodor 32, Tapu Koko 30, Alolan Ninetales GX 28, Drampa GX 26, Espeon GX 25, Alolan Ninetales 24, Volcanion EX 20, Alolan Vulpix 20, Volcanion 19, Golisopod GX 18, Metagross GX 18, Vikavolt 17, Tapu Bulu GX 17. SUM 4, Crimson Invasion, is released on November 3rd. The 751 number from Hartford would be surpassed a little more than a month later with the London International tournament. 781 players attended that event on November 17th. Tord Reklev won the EUIC with Zoroark Golisopod (Crimson Invasion became Standard legal on the weekend of this tournament). Other decks in the top 8: Silvally Metal, Gardevoir, Greninja, Buzzwole Lycanroc, Volcanion. The most common Pokemon I went up against this month (in 339 matches): Tapu Lele GX 115, Oranguru 54, Gardevoir GX 35, Octillery 27, Sylveon GX 25, Tapu Koko 25, Garbodor GRI 23, Zoroark GX 22, Espeon GX 18, Metagross GX 18, Drampa GX 17, Golisopod GX 17, Volcanion EX 16, Alolan Vulpix 16. The Memphis regional on December 16th blows away every other tournament in the 2017 calendar year (except Indy) with 999 masters in attendance. Michael Pramawat wins with Zoroark Lycanroc. Other decks in top 8: Golisopod Garbodor, Buzzwole Lycanroc, Zoroark Golisopod. Despite popular belief, running either Lycanroc, Zoroark, or both was not actually mandatory for participation in this tournament. The most common Pokemon I went up against this month (in 304 matches through the 29th): Tapu Lele GX 112, Zoroark GX 52, Oranguru 44, Tapu Koko 28, Garbodor GRI 25, Octillery 25, Volcanion EX 22, Gardevoir GX 21, Buzzwole GX 20, Volcanion 20, Golisopod GX 20, Sylveon GX 17, Tapu Bulu GX 16, Drampa GX 16, Metagross GX 16, Vikavolt 15, Espeon GX 15.